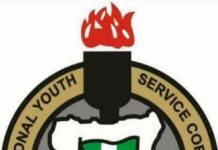 Thirty-seven National Youth Service Corps (NYSC) members, being conveyed to their areas of primary assignment, yesterday escaped death by the whiskers, when the civilian coaster bus carrying them from the state Orientation Camp, Sagamu, Ogun State, had a terrible accident. The lone accident, which occurred at Danco area on the Lagos-Ibadan expressway at about 3:16p.m. had 19 people injured – nine male and 10 female corps members, with four in critical condition, according to the Federal Road Safety Corps (FRSC) and it was caused by over-speeding and loss of control. 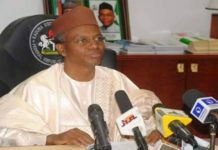 It was gathered that the victims just left the orientation camp, which ended on Monday and were on their way to Sango, Ota area of the state. The FRSC Sector Commander, Ogun State Command, Clement Oladele, told The Guardian that the injured victims were evacuated to FRSC Accident Emergency Clinic, at Sagamu, while the four victims with more serious injuries were referred to the Olabisi Onabanjo University Teaching Hospital (OOUTH) Sagamu. He advised the corps members to always caution their drivers, especially during this rainy season, adding that where such drivers refused caution they should call FRSC toll free number 122 for necessary disciplinary action against such erring drivers. Meanwhile in Lagos, corps members also ended their three weeks orientation camp at a ceremony amidst the rain at the Iyana Ipaja camp. The Lagos State governor, Akinwumi Ambode, was represented by the Commissioner for Special Duties and Intergovernmental Relations, Mr. Oluseye Oladejo, advised corps members to be law-abiding and urged employers in the state to put in place improved welfare package and conducive environment that will motivate corps members to give their best for the growth of the state. In his address, Mr. Muhammed Momoh, Lagos NYSC Coordinator, advised the corps members to add value to the society with all they have learnt in camp. 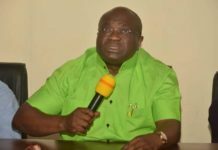 Momoh emphasised that the skills acquisition and entrepreneurship programme organised for the members was designed to provide employment for them. 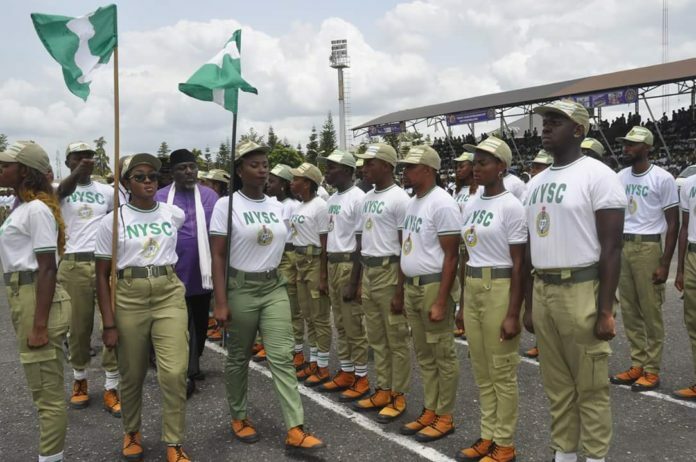 The ceremony marked the end of the orientation course for the 2018 Batch B of the corps members who started their camping on July 24.In a related development, Governor Abubakar Bello of Niger State has warned government organizations against outright rejection of corps members posted to them in the state.